« What Causes 4 out of 5 Adverse Medical Events? Can Your Surgeons Experience Actually Hurt You? A new study published in the October issue of the Canadian publication Academic Medicine suggests that a surgeon, or surgical team, that completes the same operation over and over may do what we all do when something gets too routine and start to operate on autopilot. Researchers found that surgeons stop paying attention to detail and instead use automatic behaviors to complete the surgery while their focus may be on other things such as an unrelated conversation or the music that they are listening to while operating. This may work fine most of the time, but it presents a real risk when a medical mistake occurs. In order to prevent surgical mistakes, researchers suggest that medical students and doctors receive training on reading cues from the staff surgeon. For example, if the surgeon removes himself from the conversation or pauses unexpectedly, those may be signs that all distractions such as music and conversation should cease so that the surgical team can focus on the patient. 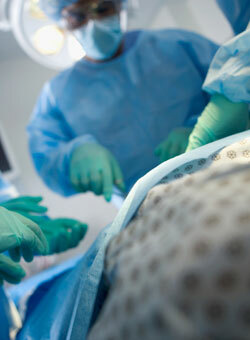 If you have been hurt by an error during surgery then you may be entitled to damages. Contact a Pennsylvania medical malpractice attorney for more information. Why is July a Dangerous Time to Get Sick?